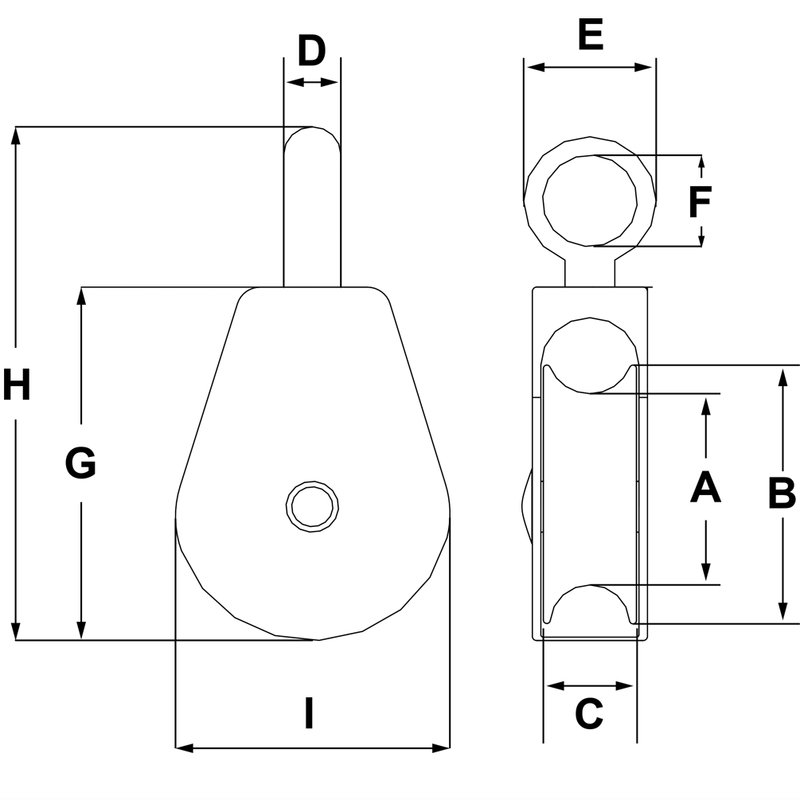 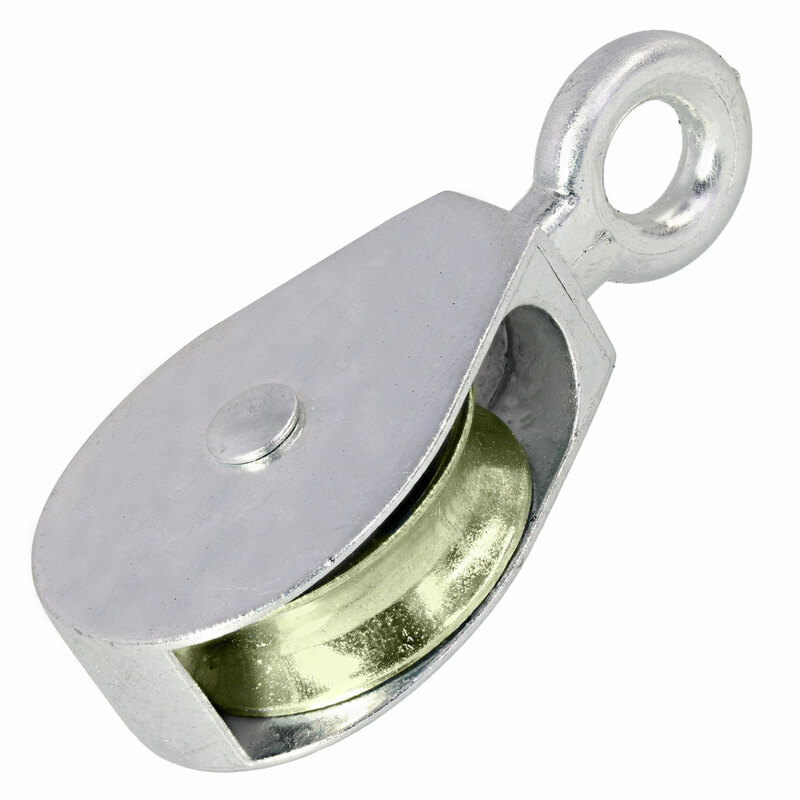 Zinc plated fixed eye pulley with a single sheave designed for use with 5/16" soft rope. 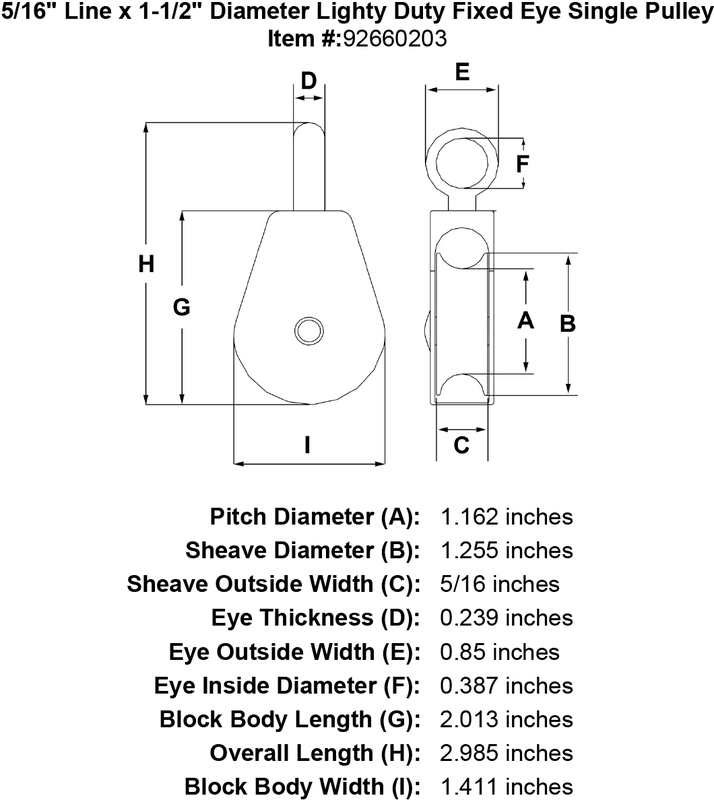 Weight: 0.26 lb. 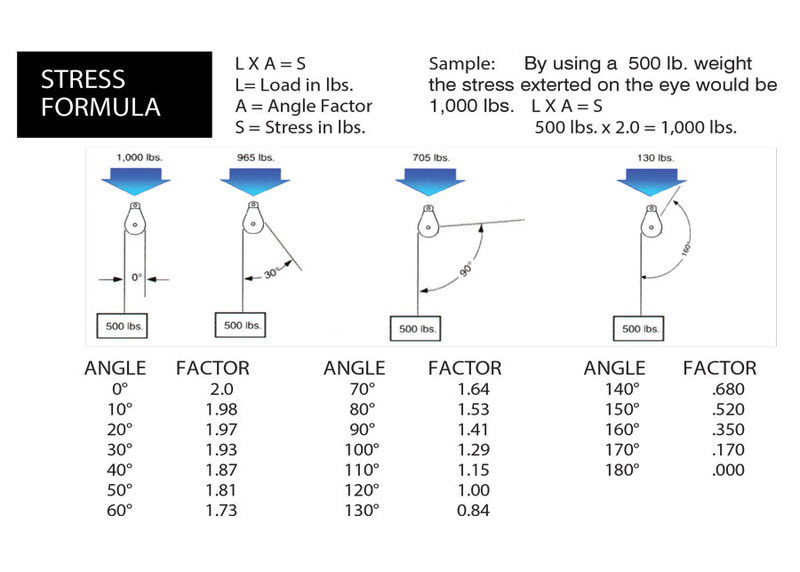 These pulleys have no load rating so they should not be used for overhead lifting.